The flash demonstrations were held at two venues. The first one at the Schoen Circle was not without excitement. As the group was collecting a police van came and parked in front of us. Based on police presence it was decided that we will have a silent protest but minus the men. The women lined up with their banners and the plain clothed gentleman from the police van took pictures of the group. The group went to the next venue which was in front of the Pakistan Electronic Media Regulatory Agency which is responsible for the present curbs on media. 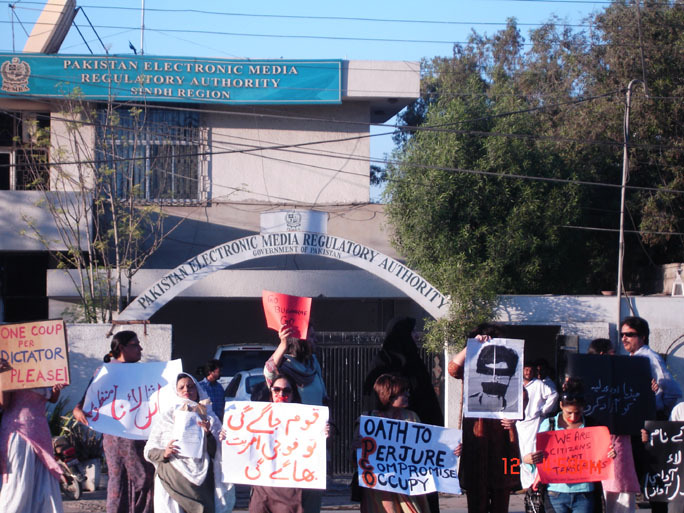 The PEMRA people were good enough to immediately close the gates of the office and it was said to call the police. However, till the time we left police did not show up. From todays demonstration it is clear that the authorities are keeping tabs on us. Maybe the idea is to scare us into leaving; not much hope of that. A group of concerned citizens from the People’s Resistance (umbrella group formed to resist the ’emergency’) have been meeting the non-PCO judges over the last few days to extend solidarity and appreciate their stand. Civil society coalition, People’s Resistance, is appalled at the attempt by General Musharraf to destroy the independence of judiciary of Pakistan. The public rally was a direct resistance against the state-imposed ban on public demonstrations. The citizens of Karachi have decided categorically that they will maintain a civil disobedience movement until the dictatorship has been broken. YAYYYY for Karachi!!! The demonstrators, who had orders to remain peaceful at all times, shouted slogans against the imposition of emergency, the clampdown on the judiciary and the media, and the military dictatorship. Some of them also held lighted candles to mark the evening vigil. Pamphlets were also distributed. A number of onlookers joined us within minutes and asked for placards and candles to hold. They also participated in chanting anti-State and anti-Musharraf slogans. A family of three (with a child around two years old) stopped their car in the middle of the road and came out to join the demonstration. Amazingly awesome response we’re getting from the public. Does Musharraf face risk of a coup? Pakistani President Pervez Musharraf was forced to dismiss rumours circulating on Monday that he had been placed under house arrest, just two days after he declared emergency rule. As things stand, there is little reason to believe that Gen Musharraf, who is both president and head of the army, is in imminent danger of being removed from office by force. There are only two groups of people who would appear to have the capacity to move against Gen Musharraf and arrest him. One is his immediate subordinates in the army, including the heads of the intelligence services. 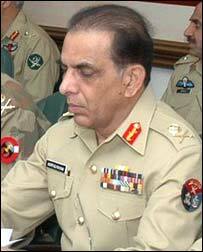 The other is the corps commanders who constitute the second tier of the leadership of the military. Gen Musharraf’s position depends on the personal loyalty to him of those who serve him and also the institutional loyalty of military men to their chief. On both counts, the odds looked stacked well in favour of Gen Musharraf. Newsweek has dedicated this weeks cover page to Pakistan with a bold title “The Most Dangerous Nation in the World Isn’t Iraq – Its Pakistan” (read the entire 6 page cover story here). To be honest Pakistanis are not at all surprised, as it was on the cards all along and we have been watching this happen while our so called leaders deliberately played to the tune of Enlightened Moderation. The problem started after 9/11 when America wanted to wage a war to seek revenge, they may have sugar coated the word revenge to neutralize it as a global issue by labeling it as a war on terror, but in true sense it was one nation fighting against its own enemies. This offensive in reality went far beyond simply being an eye for an eye, tooth for a tooth concept to more like the phrase used by Mahatma Gandhi “An eye for an eye, and soon the whole world is blind” which he used in reference to his Satyagraha philosophy of nonviolent resistance. I would like to extend my warm greetings to all my readers, on this Eid-ul-Fitr wishing you all a very Happy Eid Mubarak. At this joyous occasion please take a moment to offer a prayer for the hundreds and thousands of innocent lives being lost in North Waziristan for the sake of ‘someone else’s [read USA] war on terror’. Please take time to offer prayers for ‘our’ Pakistan, in the hope that Allah may guide these ruthless, mindless & corrupt politicians to empower them to do what is best for Pakistan and not work mindlessly towards protecting their position of power and their greed for wealth. Help-Pakistan.com : October 8th 2005, changed Pakistan forever, at precisely 08:50:38 a massive earthquake struck the northern areas of Pakistan over 80,000 lives perished in a blink of an eye, thousands were displaced ultimately resulting in millions of dollars in damage. A few of my older posts Have You Forgotten? October 8th 2005, Stories from Earthquake Volunteers, Where am I?& Help-Pakistan.com. At this tragic moment it was really heartening to see that every Pakistani around the world joined in the relief efforts in unison to help the suffering. It was a proud moment of unity which sadly seemed to last for a fleeting moment and has long since been forgotten, the tragedy was without doubt a lesson from God Almighty, but it seems that we may have already forgotten too quickly, we continue to loot and plunder the nation with no care and worries of any repercussions whatsoever. Google Adsense has finally finalized the work for allowing Google Adsense publishers to receive their check via Western Union Quick Cash. This option is available to only individuals based in Pakistan, China, Malaysia, Philippines and five other countries, I assume these were those sore spots where publishers were facing a genuine problem in receiving their hard earned checks. A few weeks back Badar Khushnood, the Google Country Representative in Pakistan, had hinted at this possibility barely a month back during the Google seminar I attended at the Media and Marketing Festival. I am so glad its now official and would definitely give the content producers in Pakistan a great boost to tap into the global ad network in full confidence of receiving their hard earned money in Pakistan. 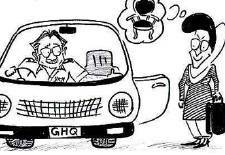 Its interesting to see how circumstances change one persons destiny, a few months back Musharraf could has easily sat on top of his throne snap his fingers and practically anyone in the country would rock to his attention, including the tranche of self exiled leaders Benazir and Nawaz. Its now a question of, who has a better set of cards to deal out, and at the present Benazir holds the trump card and has asked Musharraf too do a Bhangra dance at her door step in Abu Dhabi this weekend. In the recent past Musharraf has taken numerous political setbacks, severely denting his public image and eroding his supreme reign of power. Despite the apparent downward trend in his public support he continues to feel indispensable to the nation and feels that he should be allowed to serve the country for another five years. His only salvation is to make a crooked deal with one of the tired and tested corrupt leaders of Pakistan. Ever since the afternoon of the faithful day when in between the intense fighting at the Lal Masjid, the Pakistan Army victoriously announced the death of the head militant of Lal Masjid Maulana Ghazi Abdul Rashid. Watching the news reports come through on all news channels I did notice that everyone was refraining to tag his death as a Shahdat. For many non-Muslims reading this article, it might seem to be a trivial issue but to a Muslim it means a world of a difference. A simple naming terminology is of no consequence to the soul in this world but it means a phenomenal difference in life-here-after. Quite simply its a decision to be made by Allah for him on the day of the Judgment. A shaheed is a title that is given to a Muslim after his death, if he died during the fulfillment of a religious commandment. 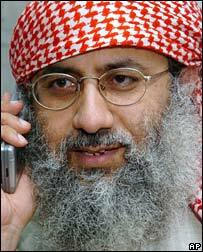 For a moment lets forget the political issues surrounding the crisis, coming to the root of the issue it was Ghazi Abdul Rashid who was defending the integrity of Islam challenging the ineffectiveness of the government in implementing the sharia law hence allowing a progressive degradation of our society. Without doubt Right or Wrong Maulana Shazi Abdul Rashid was defending his place of worship and was fulfilling his religious duties in this process. It was one of worst jail experience I had during my 30 year of activism. I was released after 15 days when my detention orders were withdrawn by the home secretary of Punjab government on 19th June. It was not due to a mercy of the government but our local and international massive solidarity campaign. Hundreds of protest letters have been sent to General Musharaf with dozens of faxes and messages of protest to different provincial authorities during the solidarity campaign against my detention. Most importantly, a write petition at Lahore High Court was to be heard on 20th June. One of the most prominent advocate and former president of Supreme Court Bar Association of Pakistan Abid Hassan Minto was to argue my case against the detention. Abid Hassan Minto is also head of National Workers Party and convener Awami Jamhoori tehreek (Peoples Democratic Movement) a left alliance of seven political parties. Labour Party Pakistan is part of the alliance.